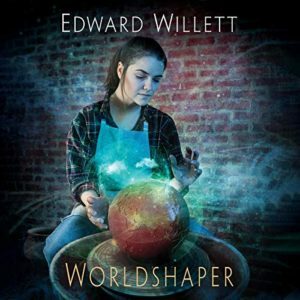 The audiobook of Worldshaper, Book 1 in my new Worldshapers series from DAW Books (written as Edward Willett), is now available through Brilliance Audio, narrated by the fabulous Saskia Maarleveld. Worldshaper is downloadable directly from Audible or through Amazon: at Amazon, you can also order physical media for it, in MP3 or Audio CD formats. I’m thrilled to say that Saskia Maarleveld will also be narrating Book 2 in the series, Master of the World: the audiobook for that will come out concurrently with the trade paperback release September 10, 2019, which is just a month after the re-release of Worldshaper in mass-market paperback. Saskia Maarleveld is an award winning narrator of 100+ audiobooks, living in New York City and working full-time in voice over. Saskia switches seamlessly between accents, and can often be heard speaking in British, Australian, New Zealand and various European accents, in addition to her native American accent. She can also be heard in various cartoons and commercials.